Some investors are big proponents of wide diversification, others hold very concentrated portfolios. In this post, we look into the portfolios of five well-known investors and how concentrated their portfolios are. The information of holdings comes from SEC filings, looks at long equity positions in the portfolios these investors manage, and are in most cases as of 31 December 2017. Hedge fund manager, founder and CEO of Pershing Square Capital Management. Businessman and investor, controlling shareholder of Icahn Enterprises. Hedge fund manager, founder, and CEO of Third Point. Hedge fund manager, founder, and president of Greenlight Capital. Legendary value investor, chairman, and CEO of Berkshire Hathaway. 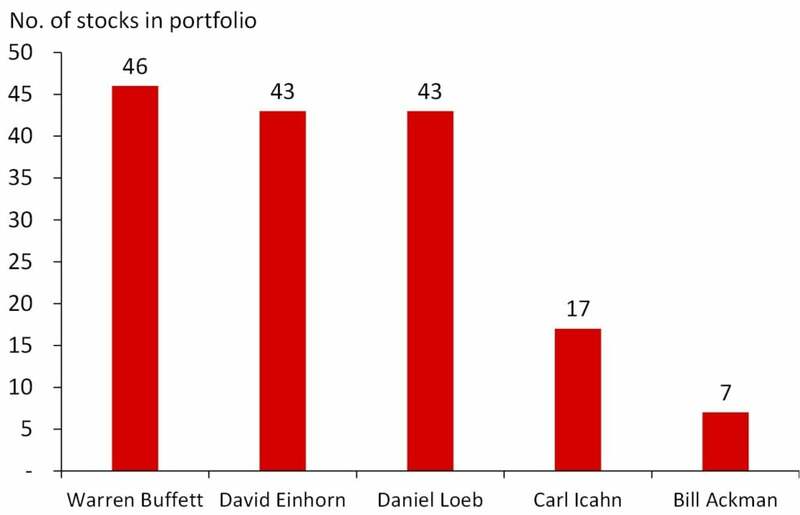 Buffett has the largest number of holdings in his portfolio, but he also has the largest portfolio in terms of AUM by far. 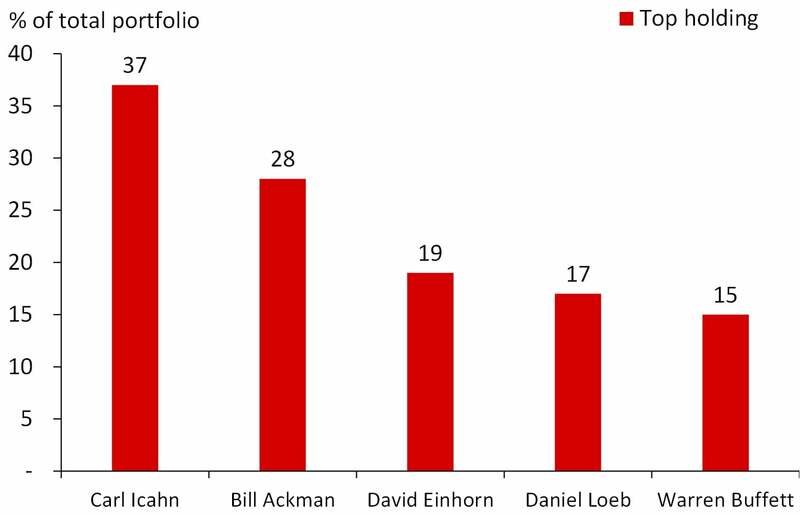 Ackman only has 7 long equity positions in his portfolio. Only Loeb has less than 50% in the top 5 stock holdings. 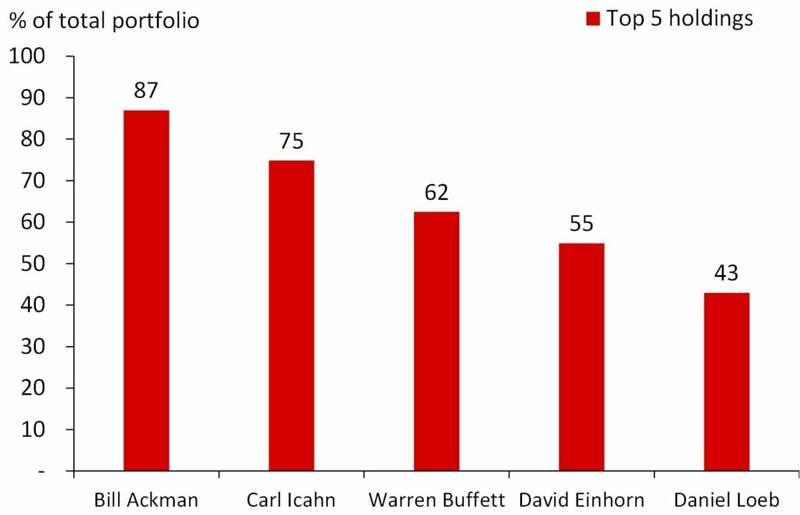 As Ackman only holds 7 long equity positions, his top 5 holdings naturally account for a large part. 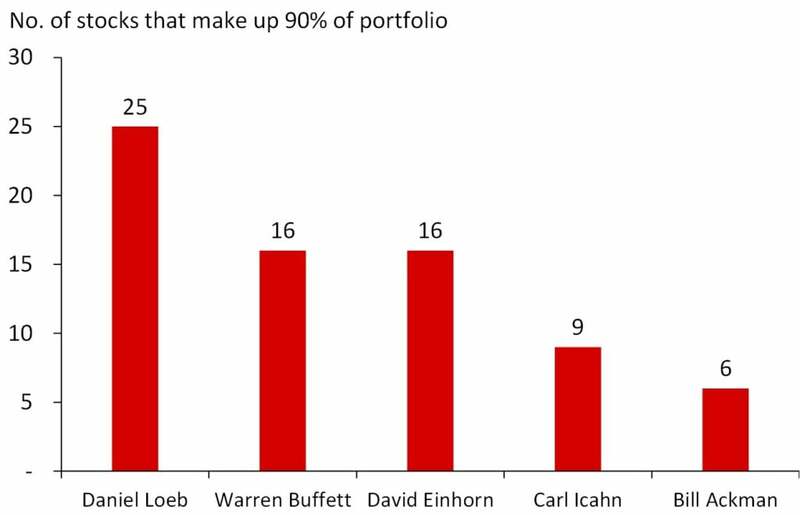 Loeb has spread out his capital the most, his top 10 holdings account for 61%. The other four investors are more concentrated, their top 10 holdings account for 77-100% of their total long equity portfolio.